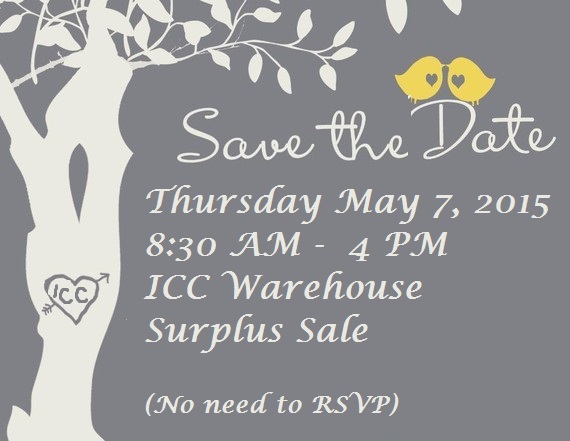 Wedding season is upon us and so is the spring Surplus warehouse sale. 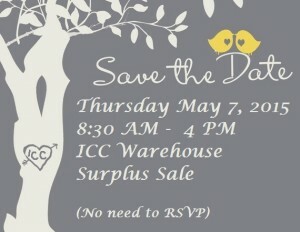 Save the date for Thursday, May 7 from 8:30-4. 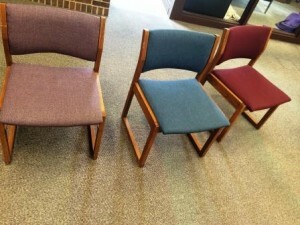 Swing on in and buy a library chair, or two (or ten) because we have plenty. That way, if a wedding sneaks up on you this summer, you’ll have plenty of gifts on hand.